Join us on the prairie again this year as we explore the cusp of prehistory at the Middle Grant Creek site! Midewin National Tallgrass Prairie’s mission is the restoration and preservation of indigenous prairieland – a now rare type of ecosystem – that nearly disappeared after 200 years of Euro-American land use in the area. As part of that effort, ongoing archaeological research is being done to identify both prehistoric and historic sites, cultures, and land-use patterns. One such site, identified in 2002, is the Middle Grant Creek Site. The site is an Oneota Culture (ca. A.D. 1150-1700) resource extraction and utilization site, dating to the Huber Phase (ca. A.D. 1600). Phase II testing in 2006 determined that it was eligible for the National Register of Historic Places (NRHP) and, since 2016, Professor Mark Schurr and Dr. Madeleine McLeester of the University of Notre Dame have been working on excavations to further investigate the site. 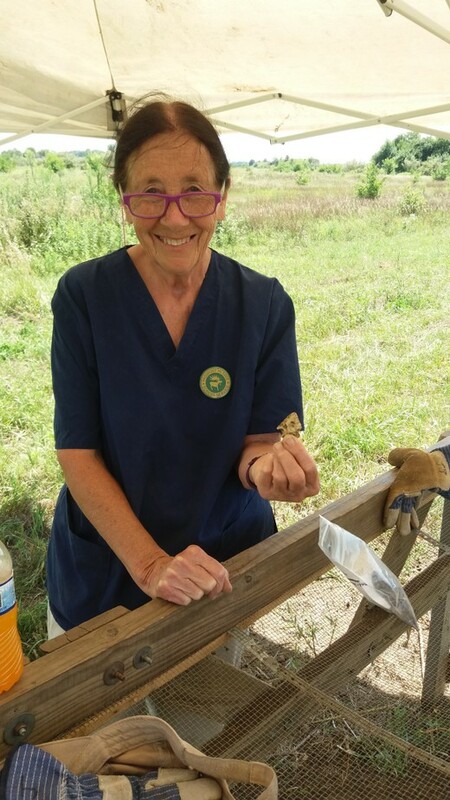 We invite you to come out to the Midewin and work side-by-side with these professionals as they excavate the site’s deep storage pits, which, so far, have yielded unique pottery, animal bones, a shell from Florida, projectile points, painted mussel shells, and more! You will get the chance to excavate, screen, and record the site, and help us find evidence of how Huber people lived and interacted with their environment. And, since the site is only one hour from Chicago, enjoy the city of Chicago and its museums, restaurants, and other attractions in your free time or on the weekends– see you this summer!